A one-off, large wall clock made from an aircraft emergency exit sign. 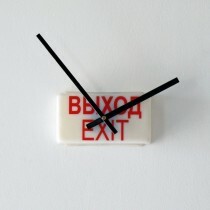 This clock includes the toilet symbol! 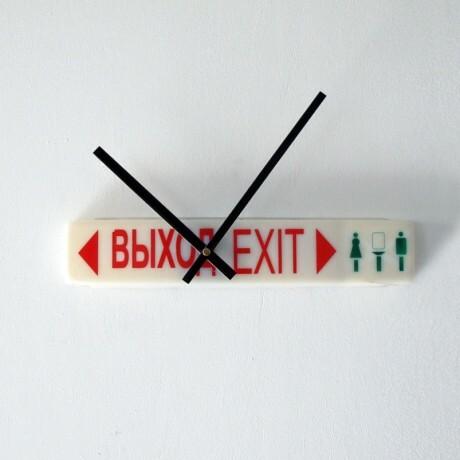 A one-off, large wall clock made from an aircraft emergency exit sign. 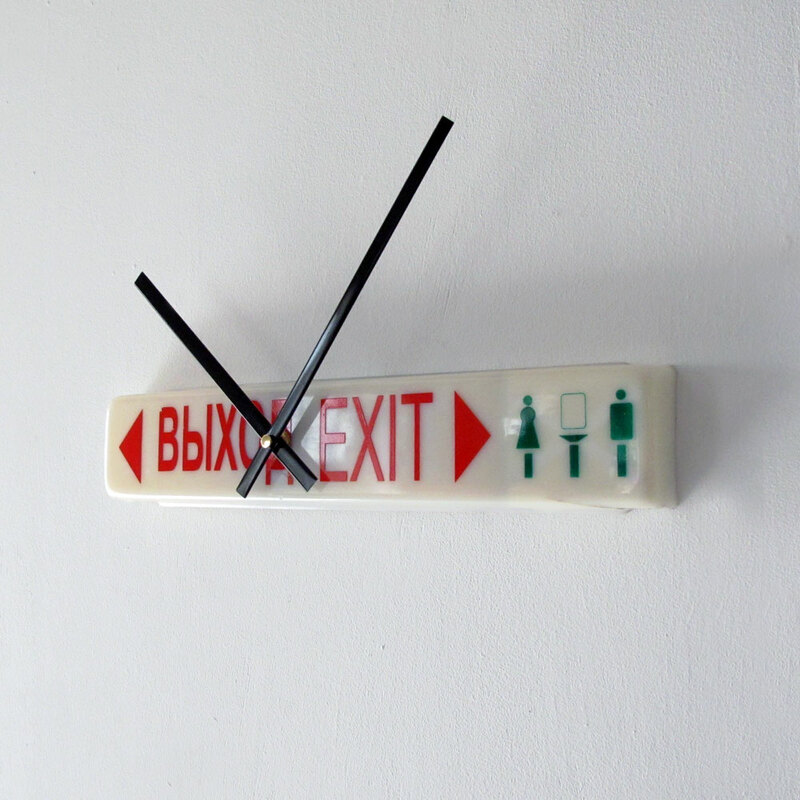 This emergency exit sign is from the interior of an ATR 42 passenger aircraft. It features the all important toilet symbol. 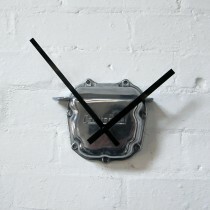 This large clock measures approximately 40cm in diameter. 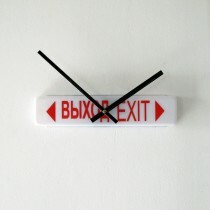 Be the first to review “Exit Clock – ‘Toilet’” Click here to cancel reply.